When children are healthy, happy, and doing well in school, the future is brighter for all of us. All children–regardless of where they live, of how much money their parents make, or of the color of their skin–should have the best possible opportunities to reach their full potential. And it’s in everyone’s best interest to ensure that they do. Laying the foundation for a prosperous future for our state requires us to adequately prepare all of our children to become thriving, contributing New Mexicans. New Mexico, sadly, too many children lack access to even the most basic resources needed in order to thrive. Child poverty is high. Child well-being is poor. The Land of Enchantment ranks at or near the bottom of the states in too many respects—-job growth, wages, worker benefits like paid sick leave, substance abuse, crime, and unfortunately, child well-being. We see disparities along racial and ethnic lines in nearly every indicator of child well-being. This problem exists across the nation, but what makes this a more pressing issue in New Mexico is that 75 percent of our children are children of color. While the child population in the rest of the nation is moving rapidly toward a minority-majority status, New Mexico is well ahead of the curve, and how we tackle disparities and tear down barriers to success for our children of color will either be an example for other states to follow or a cautionary tale of what to avoid. New Mexico is at a crossroads. At the national level, we’re seeing a style of governing that is as unpredictable as it is unprecedented. Many of the federally funded programs that New Mexico families rely upon are in grave danger of sharp and sustained budget cuts. We may be daunted by what is happening in Washington, but we are not powerless. At the state level, we are poised to elect a new governor and to choose New Mexico’s House of Representatives. We can choose candidates who stick to the current path or we can empower candidates who opt for a new direction and a commitment to improving conditions for New Mexico’s kids and families. And then we can hold them—-and all of our elected policymakers—-accountable. We live in a state of extraordinary natural beauty, diverse cultures and traditions, and extremely resilient people. We know which public policies work to strengthen families and improve child outcomes. We do not have to accept poor child well-being as our fate. But we have to demand change. KIDS COUNT is a nationwide effort to track the status and well-being of children across the nation and in each state in four areas of well-being: economic well-being, education, health, and family and community. KIDS COUNT is driven by research showing that the consequences of the events kids experience in childhood are carried with them the rest of their lives. Children’s chances of being healthy, doing well in school, and growing up to be productive and contributing members of society are tied most profoundly to their experiences in the early years. Statistics reported in the New Mexico KIDS COUNT Data Book show us where we stand, where we’re doing better, and where and how we need to improve. At its heart though, KIDS COUNT tells a story. It tells a story of child well-being and a story of the opportunities that are available to our kids. Unfortunately, in New Mexico, that story isn’t as positive as it should be. In New Mexico, the data show that we’re not doing a very good job at ensuring adequate opportunities for all of our kids to thrive and succeed, and as a result, too many of our kids are struggling. We rank 49th in the nation in overall child well-being according to the KIDS COUNT index. In only one other state are conditions worse for kids. Just as alarming is the fact that we rank poorly in each of the four KIDS COUNT domain areas. We’re 48th in economic well-being; this past year we fell to 50th in education; we’ve made many gains in the health area, and so we are now ranked 37th in this domain; and we are 49th in the family and community domain. Within these domains are some more alarming parts of the story of child well-being in our state. We have the worst rate of child poverty in the nation, and there are now tens of thousands more New Mexico kids in poverty than there were prior to the Great Recession. Our poverty rate among young children is not only the worst in the nation—and worse than for any other age group in our state—but it continues to worsen. We have the second worst rate of childhood food insecurity. We have high child abuse rates, low reading and math scores, and we rank poorly on access to high-quality early childhood education and care services. Not only are overall rates problematic across most domains, but disparities exist in nearly every indicator we track with children of color more likely to live in poverty and in high-poverty areas, less likely to have health insurance, less likely to have access to early childhood education, and more likely to be hungry. Unfortunately in New Mexico, children of color, especially Hispanic and Native American children, have higher hurdles to success and face serious challenges at much higher rates than do many of their peers. While it is predicted that nationally, racial or ethnic minority children will make up 55 percent of the child population by 2030, we’re way ahead of that trend. In fact, three-quarters of our kids are children of color. So while our minority child population is strong in number, and our cultural diversity is one of the things that makes New Mexico such a unique and enchanting place, many of our children lack the opportunities they need to flourish. But equality of opportunity is not something that just happens: it is a product of systems, policies, and programs that work together to lay a foundation for all people to have an equal chance to participate and strive for success in society. This is an area where we can’t make progress for all kids without a deliberate focus on examining the systems that impact kids’ lives and improving resources for kids who are being left behind. The good news for all of our kids is that we know what works. Simply put, policy matters. Research shows that positive experiences and conditions can have powerful and sustained benefits for kids from birth to adulthood—-and they can be supported through targeted public policies. In fact, positive and comprehensive support systems during childhood are associated with better health outcomes, improved test scores, higher graduation rates, and cost savings in remedial education. Again and again, evidence shows that making kids a priority in our budgets matters. Access to health care matters. Home visiting matters. Pre-K matters. Child care assistance and dropout prevention programs matter. Adequately staffing and paying our teachers and our guidance counselors and our protective service caseworkers matters. Tax credits that help hard-working New Mexico families put food on the table matter. And all of these things matter not just for the good they do, but for the harm they prevent and the money they save. In short, we know that investing in our kids and families pays dividends multiple times over for our communities and our state. We’ve seen first-hand how positive policy changes can improve lives for New Mexico kids in a very concrete way. Thanks to the Affordable Care Act in New Mexico, more than 30,000 more kids now have access to health insurance. Thanks to ongoing efforts of advocates and to commitment on the part of legislators, this year 4,100 more New Mexico kids will benefit from NM Pre-K than did five years ago, and 3,700 more families will have state-funded home visiting services. We’re also seeing significant long-term improvements in teen birth rates, teen drug and alcohol abuse rates, and the percent of teens not in school and not working. In fact, most of New Mexico’s child well-being indicators are improving. While there is still a long way left to go, and while policy change is rarely quick, simple, or easy, there are many areas where we’re making progress, and these areas show that we have the power to make positive changes for our kids through policy. Our amazing state shouldn’t and doesn’t have to be at the bottom of the rankings in child well-being. We can do better. We must do better. There are common-sense solutions to the crises that our kids and families are facing. Each year that we do not invest in those solutions, in our assets, and in our best chances for future success means thousands more New Mexico kids go without the crucial opportunities they need to thrive, to succeed, and to turn the tide for our state. For far too long, there’s been too much of a focus on asking what we can do for the richest and most powerful among us, for the biggest corporations, but we need to be talking about what we can do for New Mexico families and New Mexico’s kids. This year is the perfect time to have that conversation. The elections of 2018 are a chance to refocus and bolster our commitment to children and to rewrite the story of child well-being in our state. They are a chance to make children a priority in policy decisions, a chance to ask candidates what they will be doing to strengthen opportunities for our communities, a chance to put policymakers in power who will enact evidence-based policies that can help New Mexico kids succeed. Because who are we if we don’t prioritize our kids? 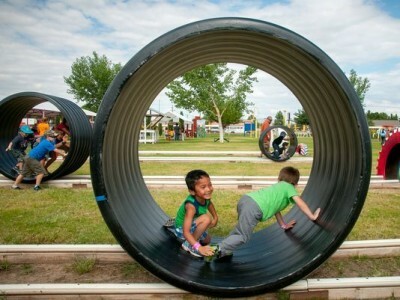 Nelson Mandela said that “there can be no keener revelation of a society’s soul than the way in which it treats its children.” New Mexico is ranked 49th in the nation in child well-being. What does that say about our soul, about what we value? The elections are a chance to demand that we treat our children better, to demand that policymakers fully commit to improving opportunities for our kids to thrive. New Mexico has a long and proud history of community, culture, and of innovation. Child well-being is one more area where we need to apply and showcase these strengths in order to improve the story about child well-being in our state. In the full report, you’ll find more information on how New Mexico’s children and families fare in the KIDS COUNT indicators of well-being. In tracking outcomes, we show differences across races, ethnicities, counties, school districts, and tribal areas, note some encouraging signs as well as outcomes that continue to be discouraging, and outline some proven policy steps that can lead to improvements. 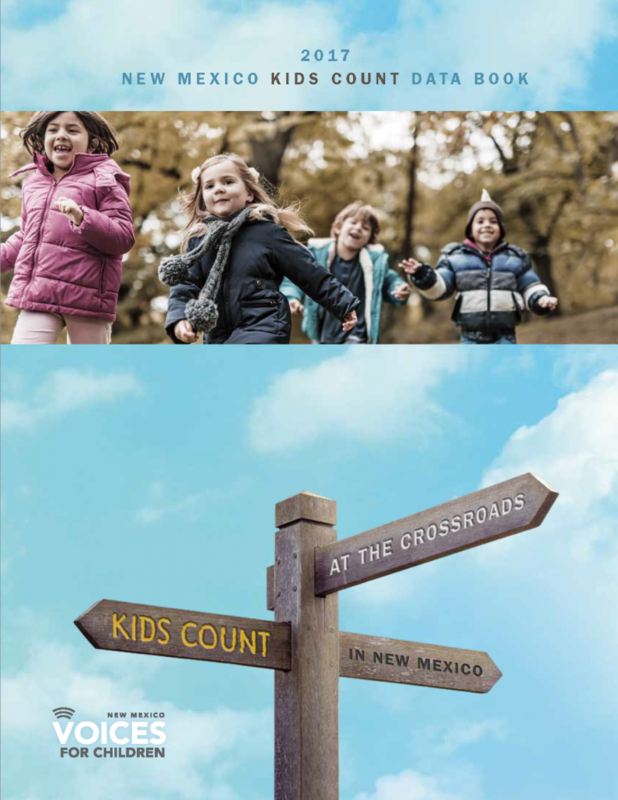 The New Mexico KIDS COUNT Data Book serves as a tool and a resource for policymakers, journalists, advocates, and other stakeholders to ensure kids’ needs are taken into account when decisions that impact them are being made. By both creating opportunities for families to pull themselves up and to share in economic prosperity and also strengthening the programs that provide a safety net for families when they fall on difficult times, we can ensure that all New Mexicans can strive for and achieve success. All children deserve the opportunities and resources they need to thrive and reach their full potential. We’re all in this together, and prioritizing New Mexico kids will make our communities, our economy, and our state stronger. It’s not just the right and the moral thing to do—it is also the smartest possible investment we can make in our state’s future success.